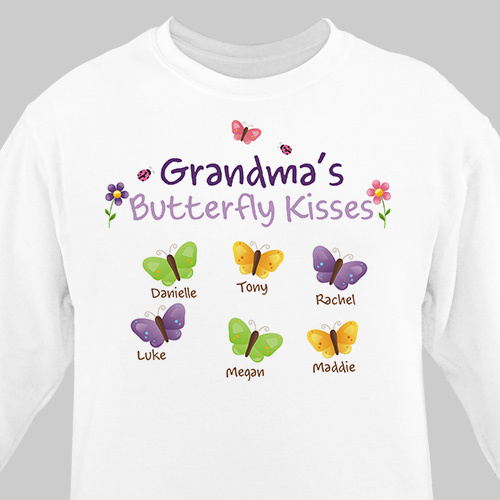 If she likes butterflies, then she'll love this beautiful sweatshirt! 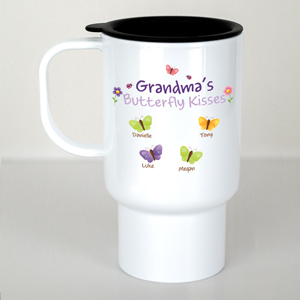 Personalize one of these Personalized Grandma Shirts with any title and up to 30 names. This is the second sweatshirt I have ordered with this pattern. I had to add more names. I am truly blessed!! Obviously I love the article as this was ordered before the family grew (again). It is well made and true to size. Each time I wear something from Gifts for You Now, I get compliments while out running errands or visiting. Beautiful, warm shirt. My grandma loves it.